Cyan, the studio best know for Myst, Riven, and most recently, Obduction, has taken today to tease something Myst related. Myst is often thought of as a PC game, though it did have a run on the original PlayStation, as well as ports to a number of other consoles. A mobile version of the game was released last year to high-acclaim. It was a long time before Cyan’s gaze returned to consoles. Cyan’s recent release of Obduction on the PS4 have this Myst fan and many others looking at the 25-year old classic and yearning for some kind of modern day console release. Cyan started out by tweeting an image of a single word: “Perhaps.” Now, Myst fans immediately caught on to the quote this was alluding to, and sure enough, over the next 30 agonizing minutes, the full quote was revealed word by word. “Perhaps the ending has not yet been written.” This is the last portion of Myst’s opening voiceover. The next tweet was an image and a link to a website, Myst.com. Why bother registering and hyping all new Myst social accounts if you aren’t planning on doing something big with the game? There are myriad possibilities, but I would expect a major Myst announcement soon, with a possible release of whatever it is in September, around the Myst 25th anniversary. It might just be wishful thinking, but I would love to see Cyan do a Myst remake with native console support out of the gate, and maybe even do it in PSVR (heck, I’d settle for a port of Myst with PSVR support). Obduction’s development could have very easily been a test to prepare the developers to work with the PlayStation 4 and PSVR hardware. When I talked to Rand Miller at PSX 2016, we chatted about bringing games to console audiences. After announcing their new game Firmament last week, Cyan’s series of tweets today were unexpected to say the least. As exciting as it is to see new games from developers, remakes and visiting nostalgia have undoubtedly been a hit recently. If Myst ends up being one of those nostaligia trips we get to revisit, I will be one happy gamer. 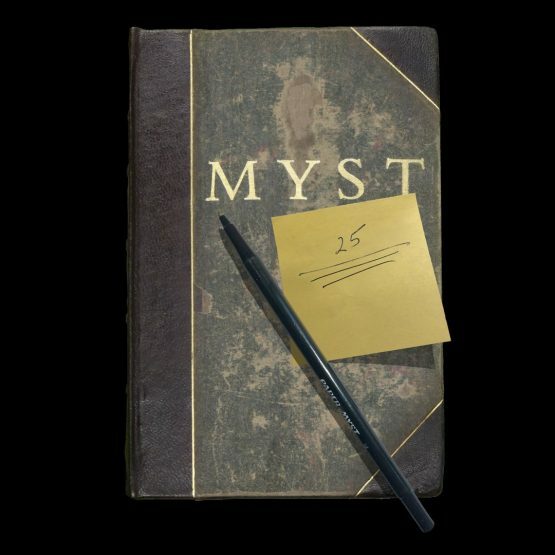 Hopefully PlayStation gamers will get to join in the celebration of the Myst 25th anniversary.